I’ve had a front-row seat to the construction of the site. 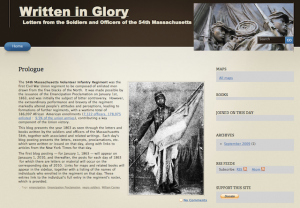 Ken scanned, OCR-ed and proofed letters, memoirs, photographs and maps, as well as trawled the New York Times archive of 1863 for relevant articles. The site itself is built on WordPress with some unique customizations. For example, historic maps are listed for each post based on the current location of the 54th and any locations mentioned in the post. Serializing history like this is a great way to get a sense of the scale and difficulty of life and war in the 1800s. Raindrops are the opposite of a cloud in many ways. Clouds transform into raindrops (and visa-versa via evaporation). In contrast to whispy ephemeral clouds, raindrops are tangible objects. Raindrops are tiny, but in combination they can carve mountains and valleys. At best, clouds can only provide some temporary shade. Raindrop computing is any computing done on your own computer, either alone or combined with others raindrop computers. Typing a shopping list into a notepad application on your computer is raindrop computing, while entering the same list into Google Docs is cloud computing. The Reddit social news site is an example of a cloud computing system that runs on Amazon’s Web Services computers. BitTorrent is a raindrop computing system forming a completely decentralized file storage system. A classic raindrop computing system is SETI@home (and its BONIC brethren), which harnesses the idle time of thousands of small raindrop computers to create a virtual supercomputer. My Macintosh port of the W3C HTML Validator (Validator S.A.C.) is a good example of cloud vs raindrop. The W3C’s validator is a cloud computing service, while Validator S.A.C. is a straight port of the web service to a local application — a raindrop application. Both the service and application do the same thing, validate HTML, but the application version runs on your own Mac under your own control and avoids the network and privacy issues inherent in the cloud service. Cloud computing seems to currently have the upper hand, but I’d bet it will be the raindrops that shape the computing landscape in the long run. If you place an old hollow-core door out on the sidewalk, with a “Free Hollow-Core Door” sign on it, then every pedestrian that passes and reads the sign will gently knock on the door. 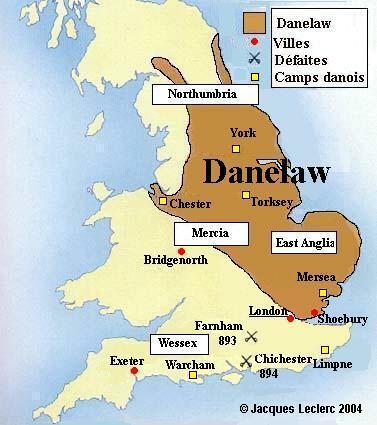 My first reaction on seeing the BBC’s map of CCTV camera density was: Well, they are certainly keeping a good eye on the Danelaw!